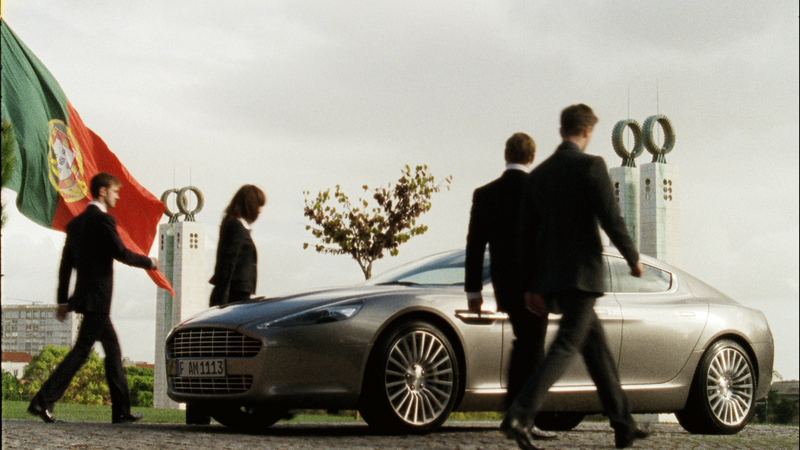 Aston Martin – too cool for school? ‘Cool’. It’s a perilously naff accolade in the wrong hands. I’m not sure there are any reliable yardsticks by which to judge whether something, or someone is ‘cool’, but there is one unavoidable truth. Yes, the first rule of cool club, is that if you think you are cool, you invariably aren’t. You may once have been afforded a mystique of stylish, aloof desirability, but as soon as a vacuous opinion-forming focus group labels you as such, you’ve lost it. Cool is an intangible, ethereal concept which dissolves very quickly when you begin trying to define it. Which brings me neatly onto the topic of the day, Aston Martin. In September 2010, a panel of 35 experts, including paragons of coolness Sadie Frost and Tinie Tempah, bestowed the title of ‘UK’s coolest brand’ on Aston Martin, just ahead of the iPhone. It’s the fourth time Aston have won the award and recent marketing activity seems to suggest the ‘cool’ thing may be going to their heads. If the tone of this column seems a little frosty towards Aston, it’s not meant to. No, any vitriol gets levelled firmly at the door of influential thinktank, the CoolBrands Council, who compiled the list. And the bods in charge of advertising at Aston, who jumped on the honour with all the subtlety of an embarrassing parent on school sports day. The argument here is that this 100 year-old bastion of British espionage, doesn’t really need much help with it’s image. Although it would be fair to say that certain small details occasionally detract from Aston’s innate desirability. For instance, Wayne Rooney has a Vanquish. And just the other day as I filled up with petrol, a chap who appeared to be comfortably into the autumn of his life, rolled up to the forecourt in a DB9. Nothing wrong with that in itself. But what made it irksome was the registration number doctored to look like ‘007’ , and the manner in which he conspicuously glanced around to see who had clocked him and his Bond-mobile. In terms of coolness, that’s up there with drink-driving. Look at the cars they are building. Vantage, DB9, DBS, the Rapide – they are all, without exception, things to behold, and they have that most quintessentially British of badges adorning their bonnets. I also understand they are not unpleasant machines to wield down alpine passes or for sauntering around the Côte D’Azur. Aston Martins are immensely desirable and covetable cars, from a company with decades of heritage and enviable brand credibility. Yet now the marketing department have donned their thick-rimmed glasses, got on to some bean bags and had an ‘ideas shower’, they’ve decided to tell the world something they already know; that Aston Martins are cool. And now, they are driven by ‘cool’ people. Maybe the writing was already on the wall, or in fact, dashboard when the cars began proclaiming ‘power, beauty, soul’ on start-up. Then there is the jewel-like key, which wouldn’t be a problem had it not been dubbed an ‘Emotional Control Unit’. By far the worst offender though, is Aston’s latest internet video campaign which is intended to bring the Rapide to a wider audience. It may just do that, but not for the right reasons, as it is horribly, squirmingly bad. Entitled ‘True Power Should be Shared’, it centres around four ‘special agents’ attempting to deliver a precious cargo, time, to a mystery recipient. With a forced and uncomfortable dialogue that will be familar to anyone who has seen the 80’s yachtie soap, ‘Howard’s Way’, it appears to be acted by a group of recruitment consultants on a team-building exercise. If there is a more effective way of squandering brand credibility, I hope that Aston don’t hear about it, because I fear it would be the end of them. You only have to look at the series of short BMW films featuring Clive Owen which appeared about seven years ago, showing that ‘cool’ can work – in the hands of a series of talented film directors, stunt drivers, good actors, and Madonna. 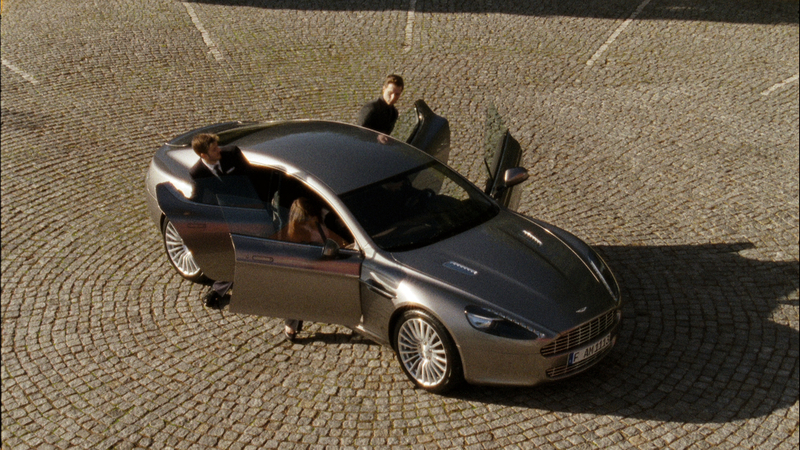 At the rate Aston are going, I worry that the next Bond car will, in fact be German, again. If you survived part one without voluntarily placing your head in a vice, part two of Aston Martin’s marketing masterstroke, is available below, for your viewing (dis)pleasure.